Seeking out the quintessential experience from the Pacific Coast of Costa Rica? A Boat tour in Tamarindo should do the trick! 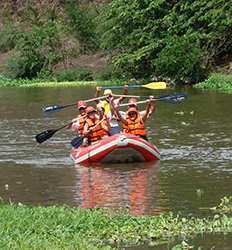 The Real Deal tours brings you the best deals in Costa Rica on the best boat tours in Tamarindo! Tamarindo Bay and Flamingo offer some of the most incredible sunsets and snorkeling only reachable on one of our Tamarindo boat tours. Relax and enjoy the view from one of our catamaran tours or sail off into the sunset this vacation on a snorkel and sunset sailing tour in Tamarindo! More of a nature lover & wildlife explorer? We have you covered there too on one of our eco-tours by boat in Tamarindo. 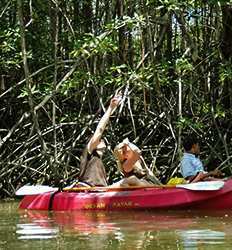 By motor boat or kayak, Tamarindo boat tours can take you to explore the incredible mangrove ecosystem in search of crocodiles, iguanas, turtles and water fowl. 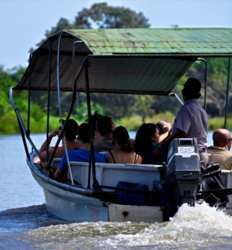 Or make a full day out of it on a Safari raft float on the Corobici River in search of monkeys, birds, iguanas and also crocodiles. 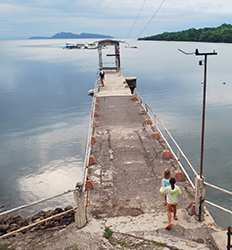 How about a full day exploring the Gulf of Nicoya by boat? We have 3 different tours you could choose from. Were you could explore San Lucas Island prison, Tortuga Island beaches or Isla Pajaros for exotic bird watching. So let us take you to experience the serenity of the crystalline waters of the Pacific, and make your day in Costa Rica memorable. Whatever your travel style, pick your favorite Tamarindo boat tour below and explore the best of Costa Rica! We invite you to join us for a bit of snorkeling, sailing, and sipping cocktails aboard our 80' Schooner on our Antares Sailboat Snorkel & Sunset Sail. After an afternoon of fun exploring the coves and secluded bays around Tamarindo & Conchal, kick back, snack on some gourmet food and enjoy the stunning sunsets only the Pacific coast of Guanacaste can produce. 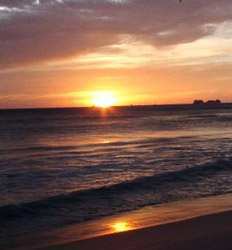 There is no better way to explore Costa Rica´s glorious Pacific sunsets than from the deck of a catamaran! 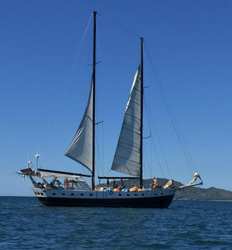 Enjoy snorkeling, swimming and sailing your day away off the coast of Conchal and Tamarindo. 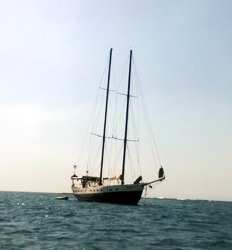 Holding up to 44 guests, specializing in gourmet food, and even options for live music aboard, this 80' Schooner Sailboat is the ultimate in private sailing charters in Tamarindo. 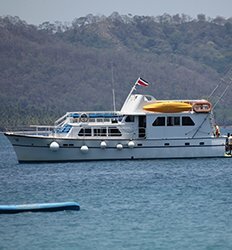 Casual and comfortable, yet romantic and elegant enough for any special ocasion, our Tamarindo Private Sailing Charter is your perfect choice for a private boat tour in Tamarindo.